I'm so pleased to be back here. Missed you all dearly. Today my head is filled with blooms. Great giant massive huge painterly blooms. It may be the weather (though I've never been a spring freak -- April is the cruelest month, lilacs, dead land and all that), it may be my work life (we're well into June there), and it may just be my trendspotting radar on high alert. Blooms are everywhere. 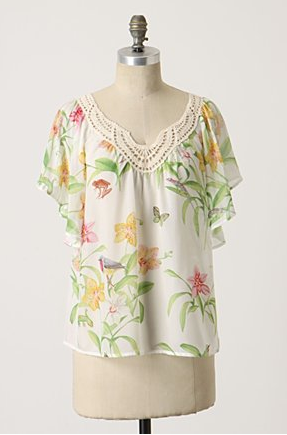 The cool kids (Anthro et al) have hopped on this trend and I love how they breathe new life into fusty florals. But you see, while the newbies do it well, the oldbies got it right in the first place. 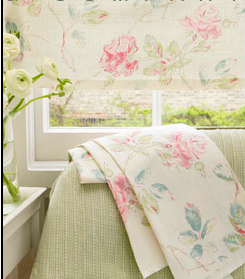 My all time favourite forever and ever floral is Bowood from Colefax & Fowler. 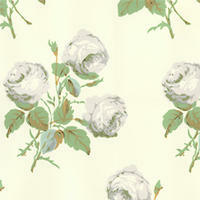 Oh John Fowler, thank you thank you thank you for this lovely gift to the world of decorating -- a tidy rose print. My favourite colourway is the white/grey/green combo, and my dream would be to do a whole room in it -- windows, walls, furniture, bedding. Oh I really must have that fabric in my home some time. I will. Here's my bouquet of pretties to enjoy. Blithfield, a lovely new washed linen fabric collection I spotted at the Lee Jofa showroom in Toronto a couple of weeks ago. 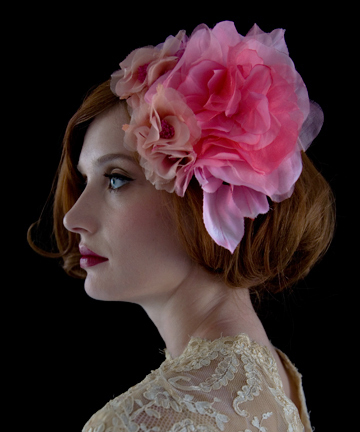 So femme and delicate. 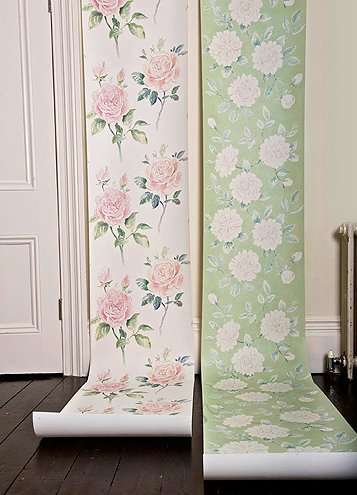 I saw these unbelievably gorgeous hand-painted wallpapers by Brit Kevin Dean at the Sept 08 Maison et Objet. Will never forget them. 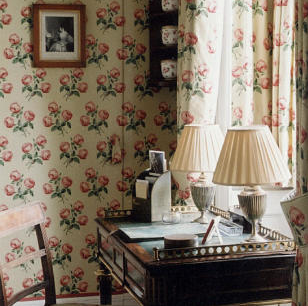 Classic English roses on a large scale. True romance. And he does dinnerware and fabric, too. Urban Outfitters super fun Springtime duvet and shams look like a painting blown up to 400%. And below, two sweet dresses. I'd like the first one with a cardie à la Mrs. O.
Oh, and one last thing: I have something VERY exciting on my calendar for this Sat. Can't WAIT to tell you more about it! !